A lovely illustration of a young girl playing with her teddy. 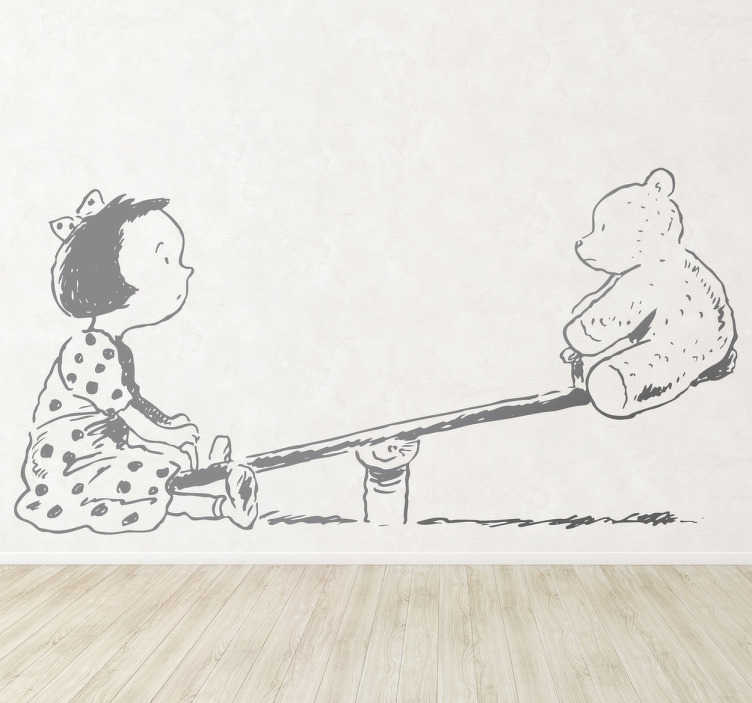 This brilliant design from our collection of teddy bear wall stickers is ideal for a girl's room. If you are looking for a design that will make her room stand out in a very original way then this teddy decal is perfect for her! It is also available in a wide range of colours and sizes. Super easy to apply and made with anti-bubble vinyl.